Spring is here and the sun is finally starting to shine! There is something about the beautiful daffodils that sends me into a bit of a lemon frenzy – It must be the colour! I felt inspired to create something fresh and fruity with a bubbly twist. These super sweet ‘naked’ cakes make the perfect dessert for a spring dinner party and are sure to impress! – Preheat oven to 160c fan oven or 180c conventional oven, line and prepare 3 x 8inch round tins with baking parchment. – Cream the butter and caster sugar together in a large stand mixer (with a paddle attachment) or with a hand held mixer until pale in colour. – Grate and add the lemon zest, mix until just incorporated. – Slowly add the eggs (add a tablespoon of flour if the mixture begins to curdle). – Alternate between adding the flour and milk, making sure to finish with the flour. – Scrape the sides of the bowl and mix for approx. 1 minute. – Put equal amounts of the cake mixture in each tin and bake until a knife inserted into the sponges comes out clean (approx. 30 mins). – Let the cakes cool completely on wire racks. Wrap tightly in cling film and leave overnight before cutting. – Mash and sieve the raspberries, set aside some of the juice for the buttercream. – Heat mashed raspberries and Prosecco in a pot until they begin to boil. – Add the sugar and stir well. – Continue to shimmer mixture for approx. 2 minutes and then remove from the heat. – Set aside to cool before using. – Beat icing sugar and the unsalted butter in the bowl of a large stand mixer (with paddle attachment) or with a hand held mixer until combined and the mixture looks similar to breadcrumbs. – Mix the leftover raspberry juice with some Prosecco and add slowly to the buttercream, ensuring not to add too much! Just enough to loosen the mixture. – Mix until the butter cream is smooth and light. – Slice the top off the sponge cakes with a bread knife or cake leveller, ideally you would like the sponge to be approx. 1inch thick. – Using a 2.5inch circle cutter, cut out as many sponge circles as possible (should yield approx. 21-24 from the three sponges – 3 discs per cake). – Pipe some buttercream onto a cake circle and stack the next one on top. Make a small hole in the middle sponge and fill with the raspberry filling. Again pipe some more buttercream and place 3rd cake circle on top. – Pipe a buttercream swirl on top (like an ice cream cone!) and decorate with whatever you fancy! I choose a sugared raspberry, half a slice of candied lemon and a paper straw. One of RTE’s ‘Domestic Divas’, Cat Lawlor is an award winning baker and wedding cake designer. A former psychology graduate, Cat regularly enjoyed baking cupcakes for family and friends (she was given her first cook book at the age of 3! )and what started off as a love for all things sweet soon became a cake obsession. 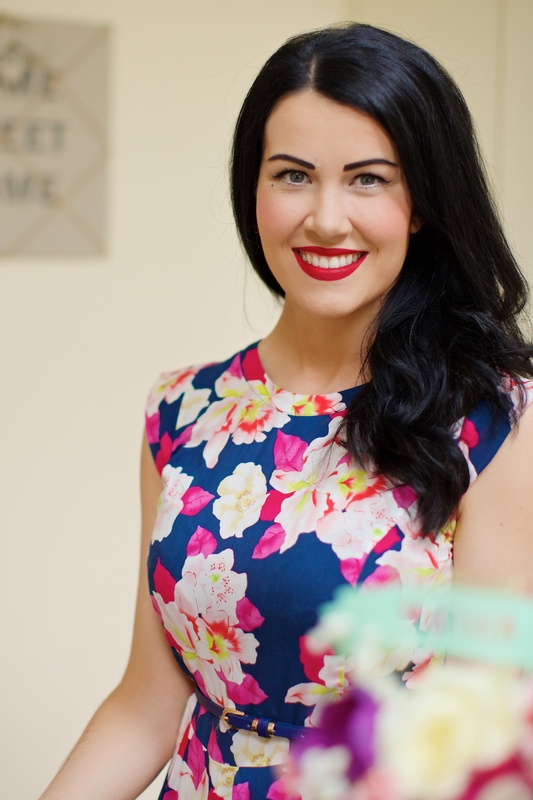 Her business ‘The Cake Cuppery’ has become a well-known cake studio based in Lucan, Co. Dublin. Her work has been featured on TV3, RTE1 and in numerous publications including; Confetti, Irish Brides, VIP and The Irish Wedding Journal.